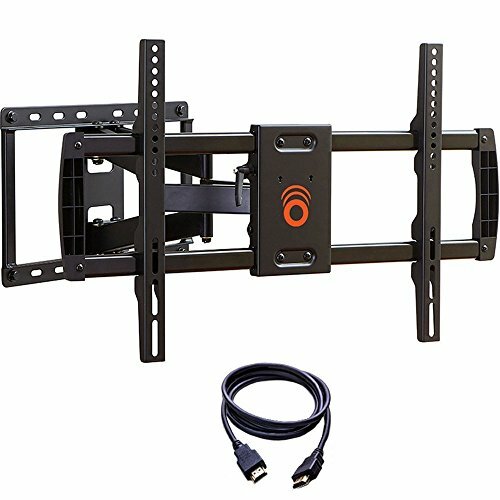 This full motion TV wall mount does it all. Extend out 16" and swivel 130º to give any seat in the house the perfect viewing angle. Also, this mount sits only 2.6" from the wall when packed in. We take pride in your time which is why we developed a 3-step installation process and a manual that is actually useful (and even funny). Installing a TV mount has never been easier. Nervous about hanging a TV on a wall? We don't blame you. Which is why we test all of our TV mounts to hold 4x their rated weight. This mount is rated to support 70" & 132 lbs. LG TV? Sony? Vizio? Samsung? Not a problem. Our hardware bags provide a wide assortment of screws to accommodate any brand of television. Have 18" or 24" studs? Check out our larger mount, the EGLF2.